Australia Realty We are a real estate service provider. Our web site provides a listing service for real estate being sold on a private basis, ie. those for private sale, and lease, including holiday rental and accommodation. 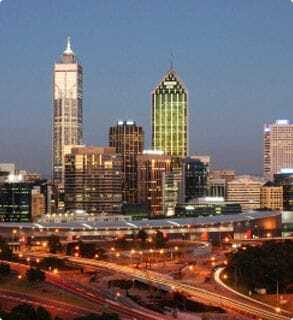 Commercial Real Estate Your guide to Australian Commercial and Industrial Real Estate. Darren Hunter Property Management Training and Consultancy. DEPpro Maximise your Depreciation. It is now more important to have your property professionally analysed in order to gain the maximum legitimate property allowance. DIYSell.com.au, Australia's premier real estate resource for private sellers. greatestate.com.au To encourage home owners to consider private sale of property Australia-wide, particularly in WA, NT and QLD. Owner.com.au Australia's premier For Sale By Owner real estate site, featuring Australia's largest online database of properties for private sale. Property.com.au is in the business of putting you in touch with the most effective tool for achieving results - the "virtual marketplace"... the Internet. Real Estate.com.au is an Australian company that provides Internet and technology services to the real estate industry, online property listings and related services to the Australian public. Realty On Line Properties for sale and rent in Australia. REIA - Real Estate Institute of Australia is the national professional association for the real estate sector in Australia. REIWA - Real Estate Institute of Western Australia REIWA's main objectives are to create the best possible business environment for real estate practitioners, and to promote professionalism, ethical behaviour and integrity within the industry. Rent.com.au focuses exclusively on Australia's rental market and offers the widest possible choice of homes in one location. Find the right tenant quickly and effectively on Rent.com.au, with tools to make self-managing your property simple. Rent Australia The www.rentaustralia.com website provides the landlord the most advanced software to showcase a property. RENTFIND is a site on the Internet, which finds rental properties for prospective tenants and tenants for vacant properties. Your Estate.com.au Advertise your properties for FREE. There is no limit for number of listings, upload up to 9 pictures for each property, specify up to 10 inspections and finally match your property with property seekers who have left their search criteria in our database. http://urban.com.au the largest property database including new apartments and townhouses database in Australia.